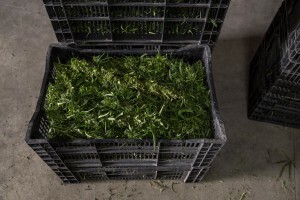 According to the Italian law 242 approved in December 2016, the production and marketing of hemp in Italy is legal if cannabis has a content of THC (tetrahydrocannabinol, the active ingredient) which doesn't exceed 0,6%. 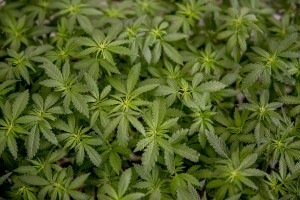 Plants of cannabis light in a field in Scafati, Southern Italy on September 25, 2018. 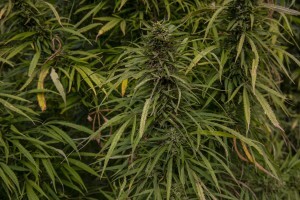 According to the Italian law 242 approved in December 2016, the production and marketing of hemp in Italy is legal if cannabis has a content of THC (tetrahydrocannabinol, the active ingredient) which doesn’t exceed 0,6%. 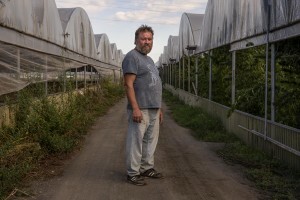 Maurizio Matrone, cannabis light farmer, is portrayed near his field in Scafati, Southern Italy on September 25, 2018. According to the Italian law 242 approved in December 2016, the production and marketing of hemp in Italy is legal if cannabis has a content of THC (tetrahydrocannabinol, the active ingredient) which doesn’t exceed 0,6%. 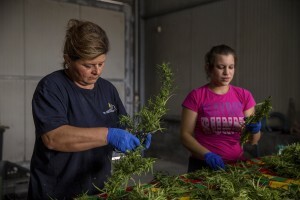 Women select cannabis light plants just collected in a field in Scafati, Southern Italy on September 25, 2018. According to the Italian law 242 approved in December 2016, the production and marketing of hemp in Italy is legal if cannabis has a content of THC (tetrahydrocannabinol, the active ingredient) which doesn’t exceed 0,6%. 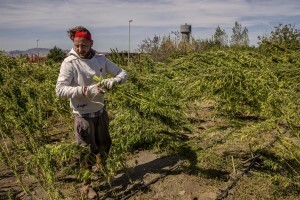 Cannabis light plants just collected in a field in Scafati, Southern Italy on September 25, 2018. According to the Italian law 242 approved in December 2016, the production and marketing of hemp in Italy is legal if cannabis has a content of THC (tetrahydrocannabinol, the active ingredient) which doesn’t exceed 0,6%. A girl selects cannabis light plants just collected in a field in Scafati, Southern Italy on September 25, 2018. According to the Italian law 242 approved in December 2016, the production and marketing of hemp in Italy is legal if cannabis has a content of THC (tetrahydrocannabinol, the active ingredient) which doesn’t exceed 0,6%. 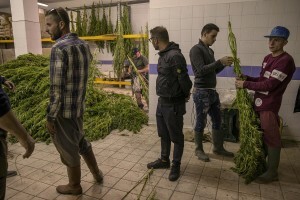 A woman selects cannabis light plants just collected in a field in Scafati, Southern Italy on September 25, 2018. According to the Italian law 242 approved in December 2016, the production and marketing of hemp in Italy is legal if cannabis has a content of THC (tetrahydrocannabinol, the active ingredient) which doesn’t exceed 0,6%. 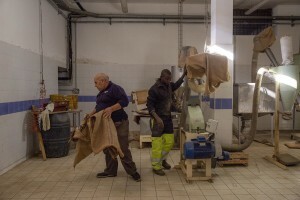 Men at work inside a store where canapa light is handled in Caivano, Southern Italy on September 26, 2018. According to the Italian law 242 approved in December 2016, the production and marketing of hemp in Italy is legal if cannabis has a content of THC (tetrahydrocannabinol, the active ingredient) which doesn’t exceed 0,6%. 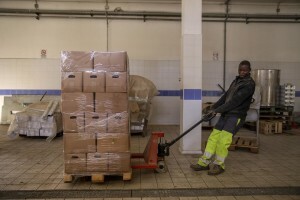 A man at work inside a store where canapa light is handled in Caivano, Southern Italy on September 26, 2018. According to the Italian law 242 approved in December 2016, the production and marketing of hemp in Italy is legal if cannabis has a content of THC (tetrahydrocannabinol, the active ingredient) which doesn’t exceed 0,6%. A man collects cannabis light plants in a field in Ercolano, Southern Italy on September 27, 2018. According to the Italian law 242 approved in December 2016, the production and marketing of hemp in Italy is legal if cannabis has a content of THC (tetrahydrocannabinol, the active ingredient) which doesn’t exceed 0,6%. 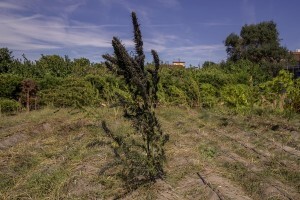 A plant of cannabis light in a field in Ercolano, Southern Italy on September 27, 2018. According to the Italian law 242 approved in December 2016, the production and marketing of hemp in Italy is legal if cannabis has a content of THC (tetrahydrocannabinol, the active ingredient) which doesn’t exceed 0,6%. 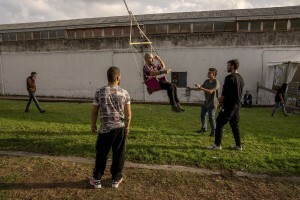 Men are getting canapa light plants dried, just collected in a field in Ercolano inside a store of Caivano, Southern Italy on September 26, 2018. According to the Italian law 242 approved in December 2016, the production and marketing of hemp in Italy is legal if cannabis has a content of THC (tetrahydrocannabinol, the active ingredient) which doesn’t exceed 0,6%. 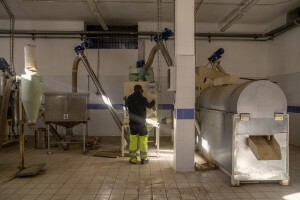 A man is getting canapa light plants dried, just collected in a field in Ercolano inside a store of Caivano, Southern Italy on September 26, 2018. According to the Italian law 242 approved in December 2016, the production and marketing of hemp in Italy is legal if cannabis has a content of THC (tetrahydrocannabinol, the active ingredient) which doesn’t exceed 0,6%. 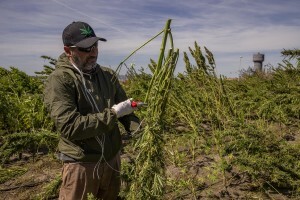 Maurizio Matrone collects cannabis light plants in a field in Scafati, Southern Italy on September 25, 2018. According to the Italian law 242 approved in December 2016, the production and marketing of hemp in Italy is legal if cannabis has a content of THC (tetrahydrocannabinol, the active ingredient) which doesn’t exceed 0,6%. 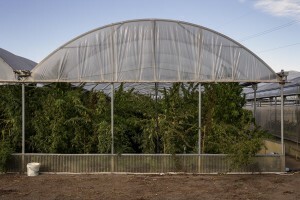 Canapa light plants on display at the industrial hemp and medical cannabis fair “Canapa in mostra” in Naples, Italy on October, 26, 2018. 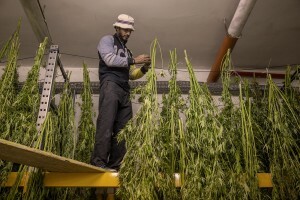 A canapa light plant on display at the industrial hemp and medical cannabis fair “Canapa in mostra” in Naples, Italy on October, 26, 2018. 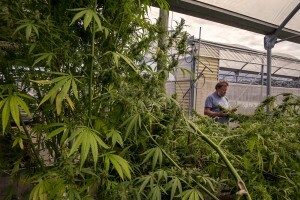 A man collects cannabis light plants in a field in Scafati, Southern Italy on September 25, 2018. According to the Italian law 242 approved in December 2016, the production and marketing of hemp in Italy is legal if cannabis has a content of THC (tetrahydrocannabinol, the active ingredient) which doesn’t exceed 0,6%. 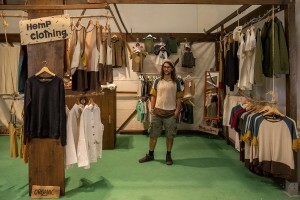 A shop of hemp clothing inside the industrial hemp and medical cannabis fair “Canapa in mostra” in Naples, Italy on October, 26, 2018. According to the Italian law 242 approved in December 2016, the production and marketing of hemp in Italy is legal if cannabis has a content of THC (tetrahydrocannabinol, the active ingredient) which doesn’t exceed 0,6%. A girl smokes canapa light during the industrial hemp and medical cannabis fair “Canapa in mostra” in Naples, Italy on October, 26, 2018. According to the Italian law 242 approved in December 2016, the production and marketing of hemp in Italy is legal if cannabis has a content of THC (tetrahydrocannabinol, the active ingredient) which doesn’t exceed 0,6%. A man smokes canapa light during the industrial hemp and medical cannabis fair “Canapa in mostra” in Naples, Italy on October, 26, 2018. According to the Italian law 242 approved in December 2016, the production and marketing of hemp in Italy is legal if cannabis has a content of THC (tetrahydrocannabinol, the active ingredient) which doesn’t exceed 0,6%. 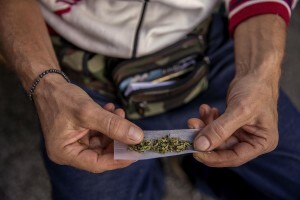 A man is seen rolling a joint made with canapa light during the industrial hemp and medical cannabis fair “Canapa in mostra” in Naples, Italy on October, 26, 2018. According to the Italian law 242 approved in December 2016, the production and marketing of hemp in Italy is legal if cannabis has a content of THC (tetrahydrocannabinol, the active ingredient) which doesn’t exceed 0,6%. 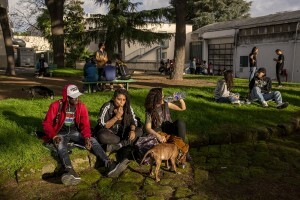 People relaxing during the industrial hemp and medical cannabis fair “Canapa in mostra” in Naples, Italy on October, 26, 2018. According to the Italian law 242 approved in December 2016, the production and marketing of hemp in Italy is legal if cannabis has a content of THC (tetrahydrocannabinol, the active ingredient) which doesn’t exceed 0,6%.